An actress dressed in a period costume walks through the snow in St. Petersburg, Russia, Tuesday, Nov. 8, 2016. Low temperatures caused two days of snowfall in St. Petersburg. 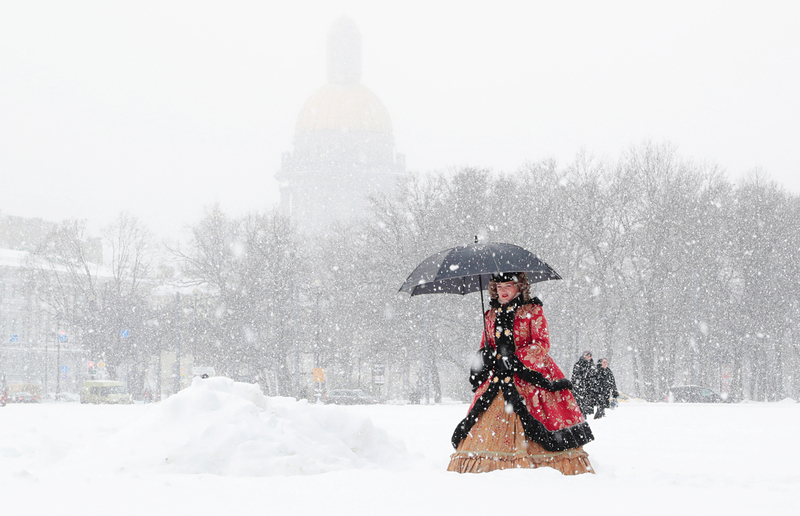 An actress dressed in a period costume walks through the snow in St. Petersburg, Russia, on Nov. 8, 2016. Low temperatures caused two days of snowfall in St. Petersburg.